Readers of all ages and walks of life have drawn inspiration from Elizabeth Gilbert's books for years. Now, this beloved author shares her wisdom and unique understanding of creativity, shattering the perceptions of mystery and suffering that surround the process - and showing us all just how easy it can be. By sharing stories from her own life, as well as those from her friends and the people that have inspired her, Elizabeth Gilbert challenges us to embrace our curiosity, tackle what we most love and face down what we most fear. 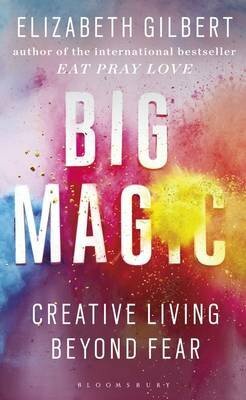 Whether you long to write a book, create art, cope with challenges at work, embark on a long-held dream, or simply to make your everyday life more vivid and rewarding, Big Magic will take you on a journey of exploration filled with wonder and unexpected joys.